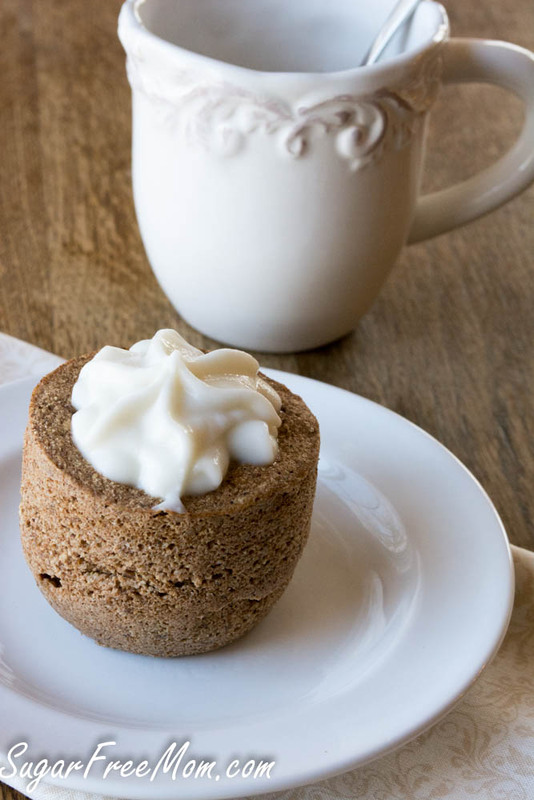 This single serve muffin is a perfectly quick and easy breakfast made in 2 minutes in a mug to go! 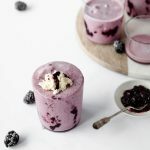 It’s low carb, dairy free, gluten free and sugar free! 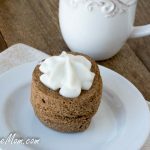 This recipe is an adaption of some of my other single serve muffins, Mint Chocolate Flax Muffin, Peanut Butter Flax Muffin and my Pumpkin Flax Muffin. Each are one single serving and easy to make in under 5 minutes! I removed it from the mug so you could see it better but obviously it is easier to just eat with a spoon right in the mug itself. Anyone who is busy with work or family knows moms usually never eat breakfast or eat scrapes off their kids plates. I avoid this at all costs and work hard to ensure I eat a healthy breakfast to start my day. 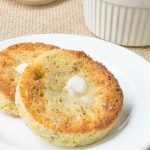 Making a quick breakfast is easy, choosing to make it a healthy one can be a challenge, but these mug muffins I’ve got going are the perfect solution! You can stir the ingredients right in the mug you are using to cook it with but I found it easier to combine in a shallow bowl then pour in the mug. You can use powdered stevia in the batter if you don’t have liquid, I would suggest 1-2 packets or 1/4 teaspoon pure stevia extract. You can also make this in the oven at 350 degrees for 10-15 minutes until you see it rise and cooked in the center. Whisk egg in a bowl then stir in the rest of the ingredients until completely combined. Spray a coffee cup with nonstick cooking spray or grease and pour batter into mug. Microwave for 1 min and 30 seconds, or up to 2 minutes in needed. Remove from mug in desired or enjoy as is. A mug muffin! So cute! I’d love to have this for an easy breakfast tomorrow. 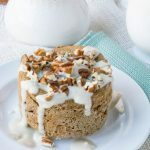 Cinnamon Roll….in a mug…and single serving?! Perfect morning treat! 4 minutes total time to make this?? Count me in! Quickest healthy meal not found through a drive through that’s for sure. It’s a good thing it’s single serve right? Making one serving of anything is awesome! Such a great way to not let ingredients go to waste. Plus it’s sugar free, LOVE IT! I love every single one of these ingredients! I’ll have to try the baked version as we don’t have a microwave but I don’t mind the extra waiting time. I make jar cakes all the time but I’m new to mug cakes! 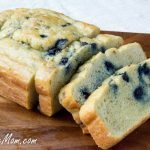 Exited to try this – I’ll make one for my husband tomorrow morning, I bet he’ll love it!! Oh it was so good with my coffee the other day and of course you will love it with some hot tea as well! How cute and it sounds really delicious! My son would love this for breakfast! 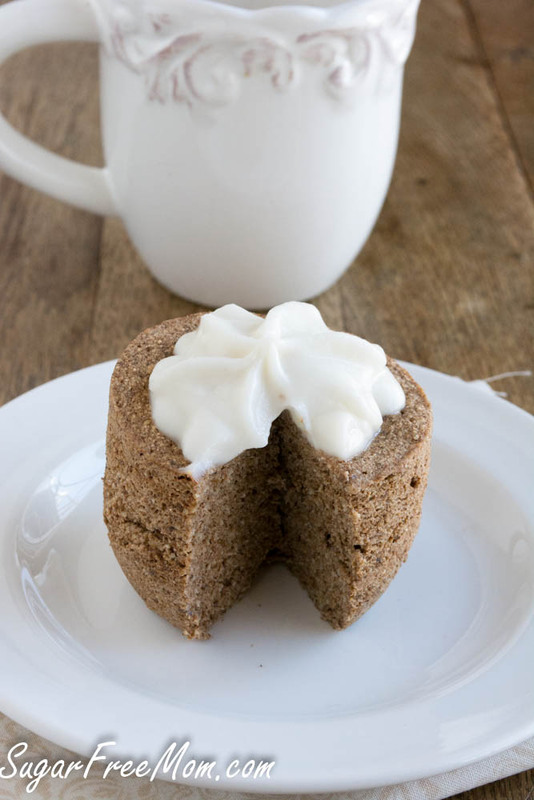 He loves anything cinnamon, and this is perfect for busy mornings! What a nice idea. I often wind up throwing out a few from a batch of muffins since there are only two of us here. This is perfect for when one of us just wants a little treat! This is such a great thing to teach kids to make for themselves, too! They need to learn self reliance for healthy snacks! This is such a cute idea and a great way to portion control, considering if I make a batch of muffins, I tend to eat more than I should lol! Yes that’s why I do it! I will definitely try this! 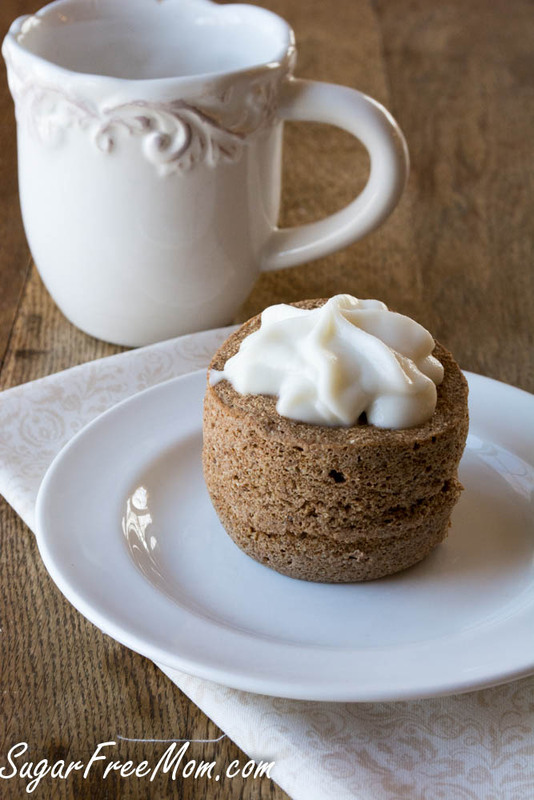 I love your other single serve muffin recipes! What do you use for a topping? That’s coconut butter mixed with water to thin it out then you can add any sweetener you like to it. 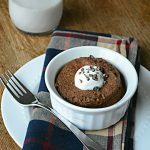 Mug cakes are my favorite! I need to buy the ingredients, but then will definitely try it! I love how healthy these are and the small portion size is perfect! thanks Angie, it works for me as a busy mom of 3 so I eat breakfast! 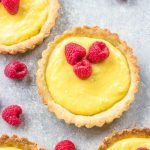 Could I substitute oat flour for the coconut flour? Sounds yummy! Yes but it will change the nutrition info. I broke down & bought the coconut flour last night and made this for breakfast this morning. 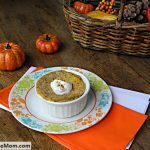 I didn’t realize how many more calories, etc oat flour would have been until I looked it up! I don’t have coconut butter, either so I sprinkled a little coconut sugar on top. SO good!! Thanks & keep up the good work! Thanks for sharing, happy you liked it! This looks so good! I will definitely forward the recipe to my friend Jada so she can make it for her new boyfriend! I love the combination you put together for this one. It’s definitely one of the more unique (and more tasty) mug cakes I’ve seen. Aww this are so adorable and they look equally delicious! Love the shape, so cute! Awesome idea! 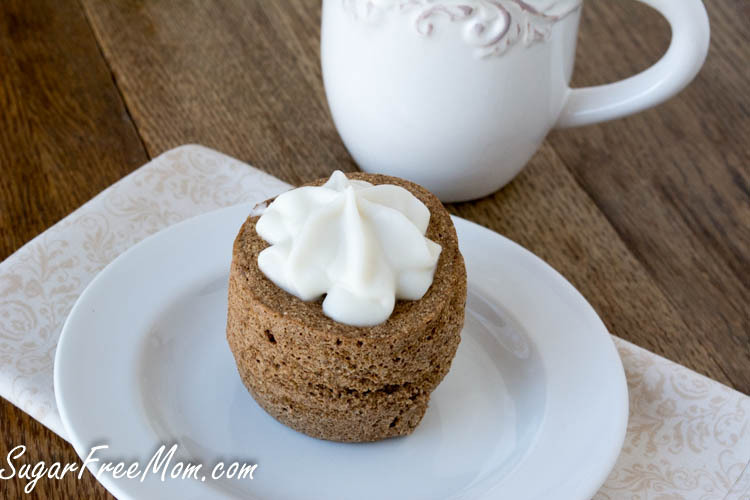 I’m so tired of the cookie in a mug- something new for when I just need a “taste” and not a whole batch! I definitely have never tried a muffin mug before but I sure want to. Looks great! 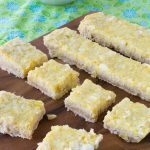 I have made/eaten several of these and love them! I decided to make it quicker on a work morning to pre-mix the dry ingredients then just add the wet . What can I sub for the flax seed? I’m allergic to it. Thanks! I had the same question, since I was out of flax seed. I ended up just using another tablespoon of coconut flour and it came out great! I attempted this and it failed miserably… Am I the only one?? Any idea what time and temp would be to bake in the oven. Both my husband and I are NOT allowed to microwave per Doctors orders. Yum! I made this this morning and the only change to the basic recipe was I used one dropper of vanilla Stevie and a packet of monk fruit blend sweetener. When it was done I put it on a plate, sprinkled chopped pecans on it and added some light pancake syrup! It was like a decadent French toast! I made last night but found the spices too overwhelming for such a small dessert. The flax definitely show up in the consistency of the muffin. The Lemon Mug Cake worked better for me. WOW, i just made this, instead of water, i used molasses ( not as much about 1/2) MOIST AND DELICIOUS, didnt even need the icing!!!! YUMMY thanks!!!!! will be making this all the time! Do you think you could add protein powder to the recipe without messing it up? I would eliminate the flaxseed if you want to add protein powder in its place. 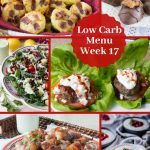 15.2 carbs is nearly my allotment for each day. I’m assuming the coconut flour and flax seed are what’s driving the numbers that high. Is there any other way of lowering the carb count? I really wanted to try this recipe. Thanks so much! You could try eliminating the flax and use more coconut flour but I go by net carbs so subtracting the fiber helps lower the total carb count. Can you tell me what coconut butter is? I have coconut oil. Can I sub that or regular butter in this recipe. Also where do you find coconut butter? Thanks so much for all the great recipes. It’s more the consistency of peanut butter or other nut buttes. No it could not be replaced with regular dairy butter. I get mine online at iherb.com and my discount code is YAJ035. Loved this as something different from a basic MIM! However, next time I will cut the cloves and nutmeg in half as it was too much and gave a bitter taste. Loved the coconut butter on top! I don’t have cinnamon or vanilla stevia. I’m going to start adding more flavored stevia to our pantry. Is there another type of flour that can replace the coconut flour? 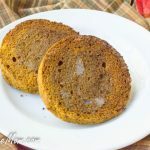 No coconut flour is not easily interchanged with other low carb flours.